Adela Fonts (Barcelona, Spain) on 4 April 2019 in Plant & Nature and Portfolio. Ce matin c'est le grand bleu et cela fait du bien de débuter une journée auprès de cette belle floraison. @Captain Guildive Ajoupa: J'aime qu'il te plaise...! @STEED: These little blue flowers are wonderful. I like to share them here with you ... Thank you very much dear friend! @omid: Thanks a lot! Glad you like it ! @Ralf Kesper: Thanks a lot! Glad you like it! 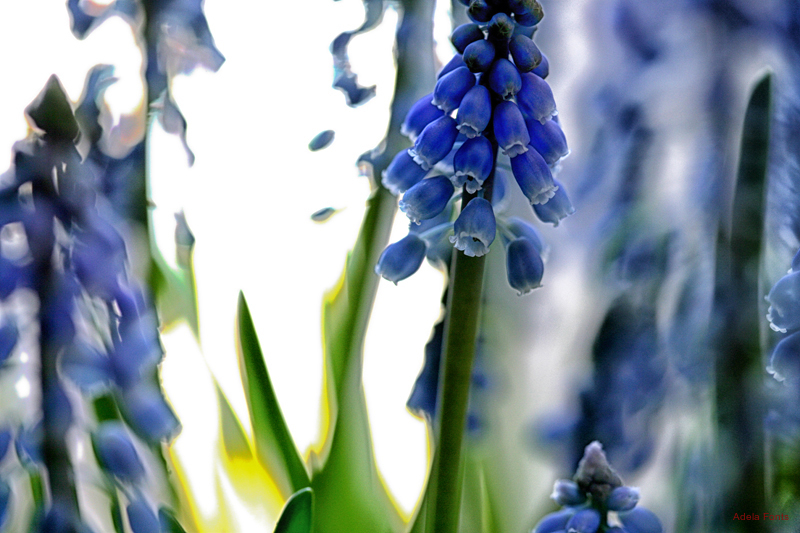 @grouser: These beautiful blue flowers are muscaris. I like them very much. Thanks you very much! Bien faite avec ce flou déstructuré en arrière plan . @Gérard Flayol: J'aime qu'il te plaise! Beautiful colors and light captured in this macro shot! @Steven: Thanks a lot Steven... Glad you like it! @Rick: Thanks a lot Rick! Glad you like it! @Lougris: J'aime qu'il te plaise Didier! Un grand merci! They look lovely...beautiful focus here !!! C'est très beau, j'aime beaucoup cette composition, elle me fait penser à une aquarelle! Très belle fin de journée Adela! @B. Thomas: Thanks a lot! Glad you like it! @grouser: I did not know it. Thank you so much grouser!